Here is another card for this sketch. 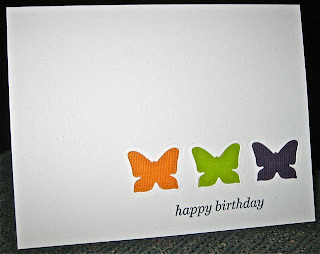 I cut out the butterflies with a Butterfly Nestability and put 1" squares of each color on the back of the card front. 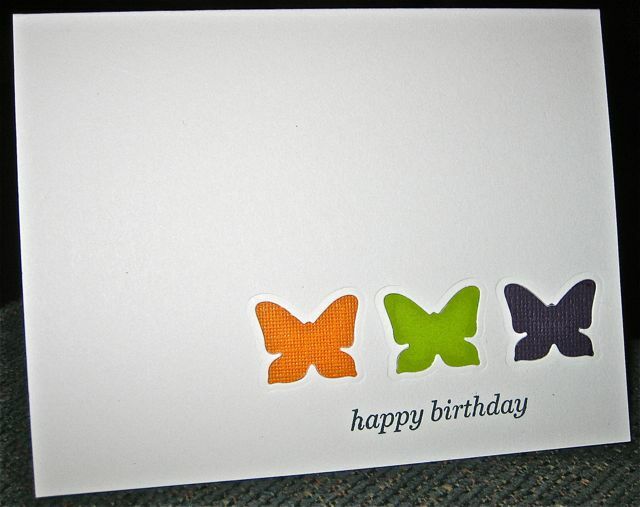 I was inspired by this card by Julie Ebersole. This is cute and simple. I really like this! This is cute and simple. Thanks so much for sharing! so clean, so simple ,so gorgeous!